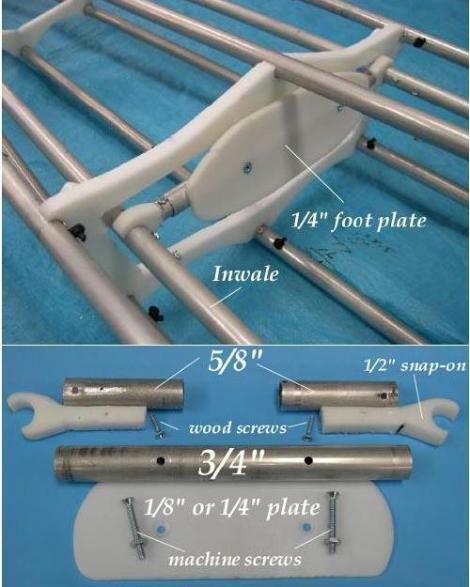 Footbrace – If a footbrace is required in lieu of using cross section 3 or a foam block as the brace, an aluminum / HDPE adjustable footbrace can be fabricated. Two 5/8″ inserts, a 3/4″ tube, and a HDPE foot plate are secured to the inwales with snap on connectors. Tube dimensions vary depending on footbrace location. 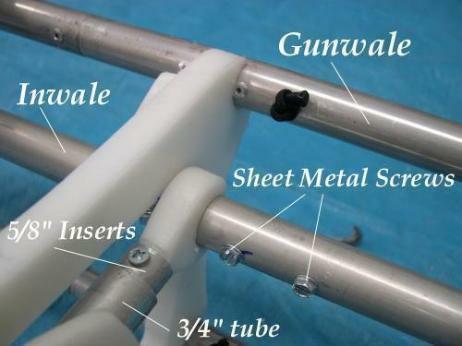 Stops -Sheet metal screws, spaced 1″ apart serve as the stops for the adjustable foorbrace.